Uniheat products features three lines of instant heaters and warmers, the Multi-Function, Infrared Adhesive series of warmers, and the Thermo-glove series of heated gloves. The Multi-Function Series includes warmers for the Body, Hands and Feet. New Adhesive Warmers feature natural infrared heat for deeper heat penetration. The Infrared Adhesive Series feature our New Adhesive Warmers containing a new formula with sea salt and salicylic acid, for more effective pain relief, as well as natural infrared heat for deeper heat penetration. 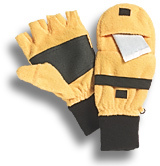 The Thermo-Glove Series are specially designed with a pocket to hold a Uniheat warmer. provide instant, continuous, safe heat anytime and anywhere. Simply open the package and expose to air, no kneeding or shaking required. They are ideal for winter sports, outdoor activities and emergency situations. The natural rusting of iron is known as oxidation, a heat releasing chemical process. Exposure of the heat pack contents to air speeds up the oxidation process, releasing significant amounts of heat. American Pioneer International (API) represents TCL, one of the worlds largest warmer manufacturers that boasts a Japanese production line with advanced high-speed packaging machines. The factory was granted a certificate of Japanese Industrial Standards, issued by the Ministry of International Trade & Industry of Japan. Iron powder, water, wood powder, activated carbon, vermiculite, and salt. The inner contents are environmentally safe, disposable and biodegradable. The inner and external bags are made of non-woven fabric and polyethylene film, respectively, and are manufactured in Japan. Valid for three years as indicated by date printed on package.